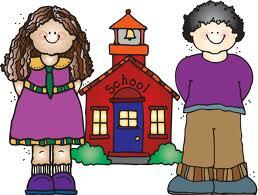 Many of your students will be entering kindergarten in the fall. Kindergarten transition can be easier for the children when teachers and parents help prepare children for the big move. Below are 7 transition practices to help your preschoolers and their families prepare for the move from Preschool to entering Kindergarten! As we've discussed in previous articles, school readiness is more than asking if the children know their A,B,Cs and 1,2,3s. Readiness does not solely refer to the important skills that children learn in preschool. It also refers to the equally important emotional skills that children develop in the preschool years, both at home and in preschool. In addition to helping children develop growth and development skills, we need to help them prepare for the social and emotion transition ahead of them. Here are 7 things teachers and families can do to help. Hear ye, Hear ye! Talk about it! We want to do this in late spring, not too soon. Don't spend your entire Prek year talking about Kindergarten. This can create a lot of stress or anxiety for the children. Read kindergarten related stories during circle time. Allow the children to ask questions about the story and about kindergarten in general. Parents can also talk to their children about this transition and read related stories to them. You can also set up your dramatic play area as a kindergarten classroom! Show them that the classroom is much like preschool. If possible, take pictures of a local kindergarten classroom and enlarge and laminate them. Post them in your dramatic play area. Add one or 2 desks for them to use. Include the books listed above! Give each child their own notebook to use! Visit a Kindergarten or Invite a Kindergarten Teacher to your Classroom! If at all possible, take your children on a field trip to tour a local Kindergarten classroom. In the tour, include checking out the playground, other classrooms, the library. Most schools have a Kindergarten Orientation-a day where families and their child visit the classroom and meet the teacher. Some of your children will not be able to attend this due to scheduling. If you can bring them on a tour, even if it is not THEIR school, it will give them a better picture in their minds of what a new school will look like. Another option is to invite a kindergarten teacher to visit your classroom. There may be a teacher who works the after noon program and can visit you in the morning. Or perhaps one of your family members is a kindergarten teacher! They can talk with the children about Kindergarten, read a story, bring pictures of their classroom, and more! 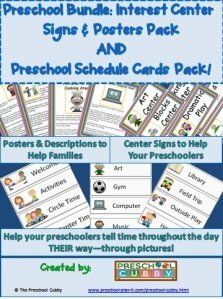 Hold a Preschool to Kindergarten Orientation of Your Own! If your local school does not hold an orientation or your children can not attend it, why not have your own orientation? Invite family members to come. 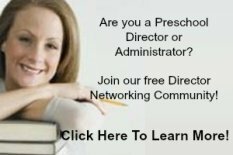 Share information about your local kindergarten programs, the local schools, etc. Perhaps an administrator from the local school could attend to talk briefly with the children and parents. Hold an end of the year conference. Provide parents with an end of the year progress report. Give them helpful information regarding what they can do with their children during the summer months to help continue their growth and development. Let families know that many children grow (physically and emotionally) over the 4+ months of summer and they can help with that! End of the Year Celebration and Information Sharing--Not Only Graduation! In addition to the end of the year/graduation program you have, plan a day that is JUST for your Prek families and children to hang out together. Perhaps a picnic at the park or at your preschool; a cookout; a pot luck lunch. The goal of this event is to give the children a time to say goodbye. Not all of them will be in the same classroom in Kindergarten let alone the same school. 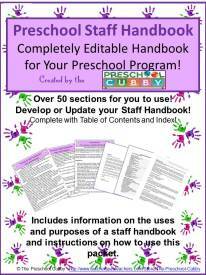 Provide home made journals that the children can "sign" for each other, like a year book! 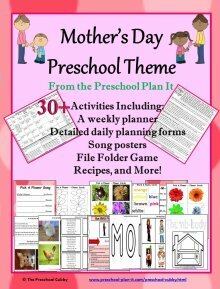 Include pictures of each child on each page. The children and parents can then sign each others' books AND share their phone numbers to keep in touch! 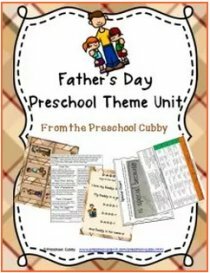 You could also prepare in advance, with each family's permission, a PreK directory to give out that has addresses and telephone numbers for them to keep in touch. This will take some time to make up, but it will be well worth it! Create some summer activity packs for families to use throughout the summer. 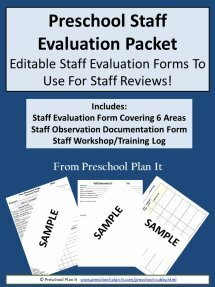 I'm not talking about worksheets and workbooks, though some worksheets will help prepare them. Board games to continue developing their 1-1 correspondence, counting and taking turns skills! Matching games to continue developing their other math skills such as seriation, comparing, sequencing, etc. Laminated letter cards and a dry erase marker for children to continue practicing both upper and lower case letters. Transitioning from preschool to kindergarten is one of those "major life changes" for children, and for parents. Create many opportunities throughout the year to help your preschoolers and their families transition through this change in their lives.